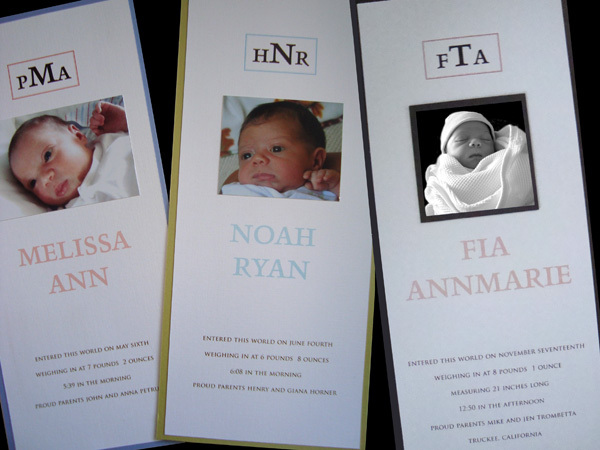 The next step after having a baby is announcing your new bundle of joy to the world. 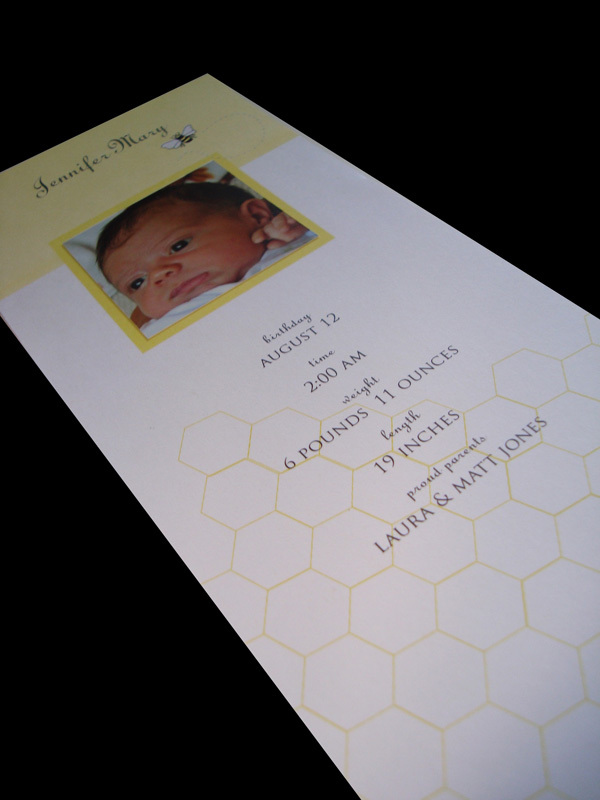 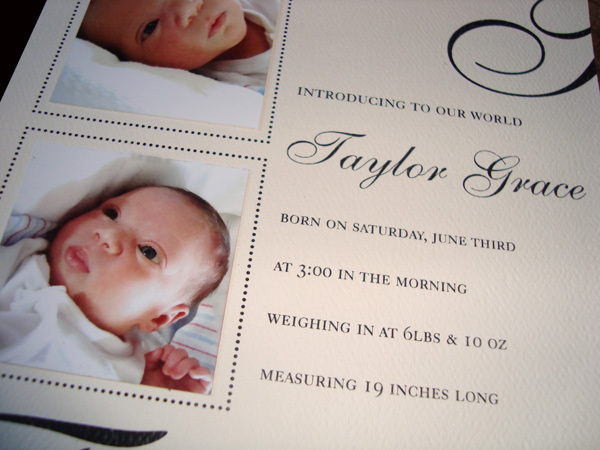 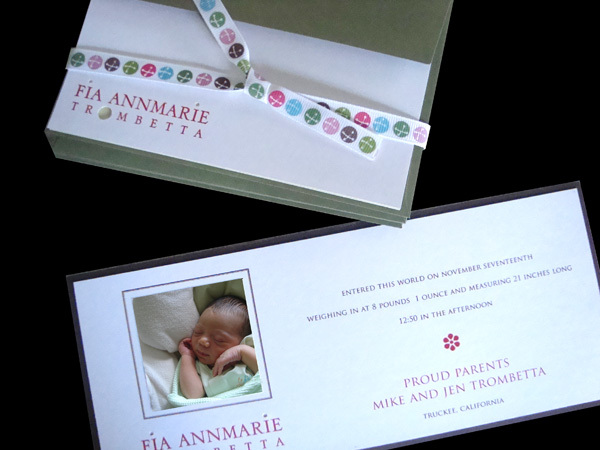 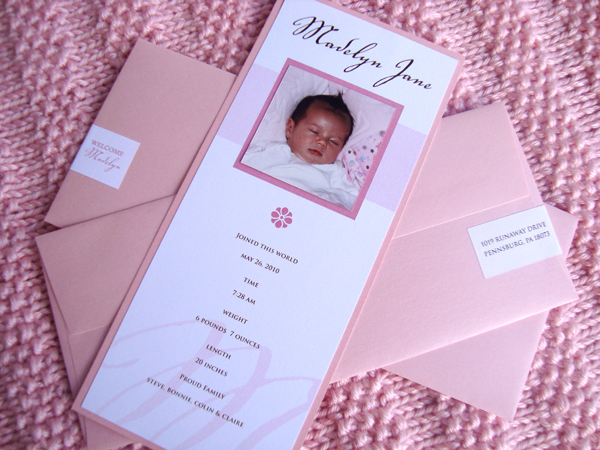 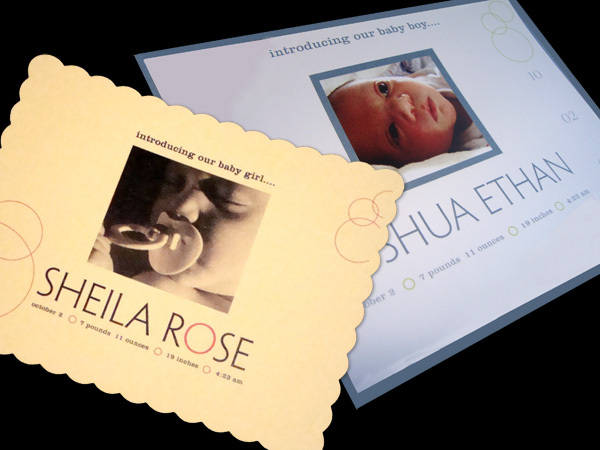 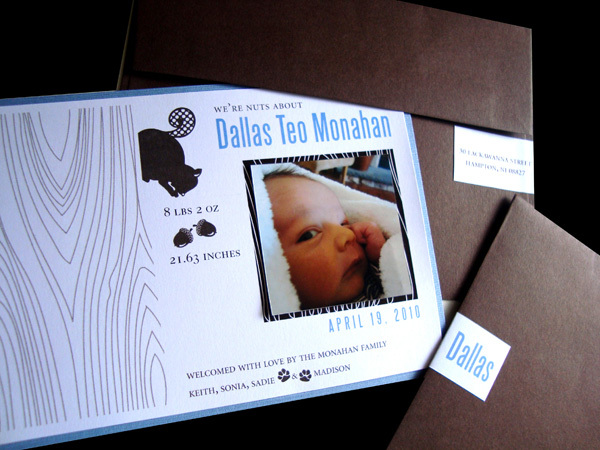 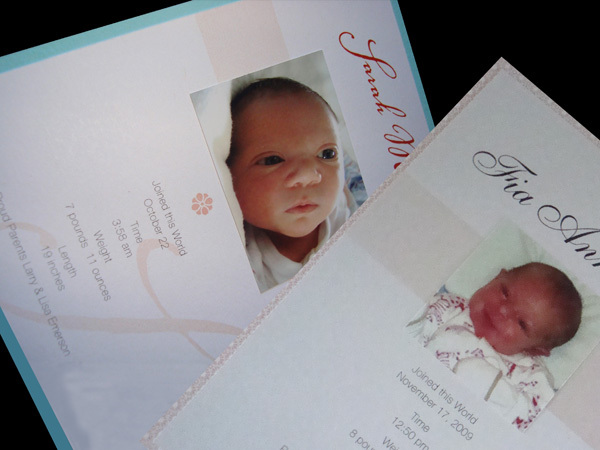 Pick from our stylish collection of announcements to showcase your new arrival. 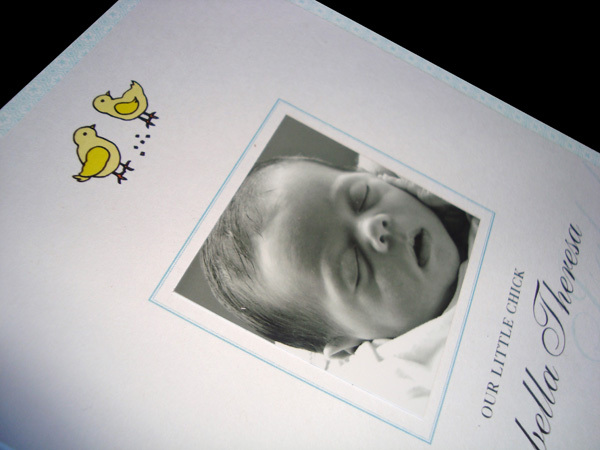 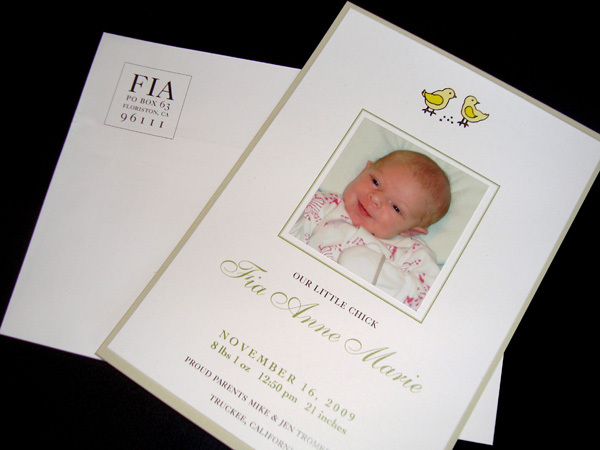 Simply send us a photo of your baby and we’ll incorporate him/her into a design that fits your style and preference.